If you want to enjoy every song to the fullest,you need more than just a top quality pair of wired speakers or headphones to work with your mobile device or stereo.The quality of your cord matters,too! When your audio cable doesn’t fit snugly into the port or isn’t made from the finest of materials, you can experience signal loss that robs you of your ability to get the full effect of high-definition digital sound. That’s why the only cable that serious music lovers should use to connect their stereo system or mobile device is the aLLreLi 3.0M Male to Male 3.5mm Universal Gold Plated Audio Stereo Cable. aLLreLi 3.0M Male to Male 3.5mm Universal Gold Plated Audio Stereo Cable features not just one but two layers of shielding plus polished metal molding and corrosion-resistant gold-plated plugs to dramatically reduce signal loss and ensure reliable performance. You’ll notice a difference in sound quality from the very first note! 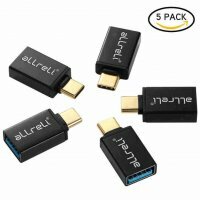 aLLreLi 3.0M Male to Male 3.5mm Universal Gold Plated Audio Stereo Cable makes listening to music on the go easier than ever before. Our male slim connector jack has a unique step down design that allows for a secure fit with all types of smartphone and tablet cases. 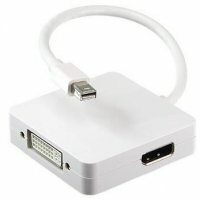 You’ll never have to remove your mobile device to connect your audio cable again! With its premium metal housing, the aLLreLi 3.0M Male to Male 3.5mm Universal Gold Plated Audio Stereo Cable is highly resistant to wear and tear and completely tangle free. Its universal design works with any standard 3.5mm audio jack or AUX-in port–guaranteed! Experience the difference that a top-of-the-line 3.5mm audio stereo AUX cable cord can make and hear digital music the way it was intended to sound for the very first time! 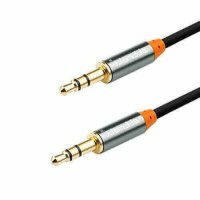 Upgrade to the aLLreLi 3.0M Male to Male 3.5mm Universal Gold Plated Audio Stereo Cable.